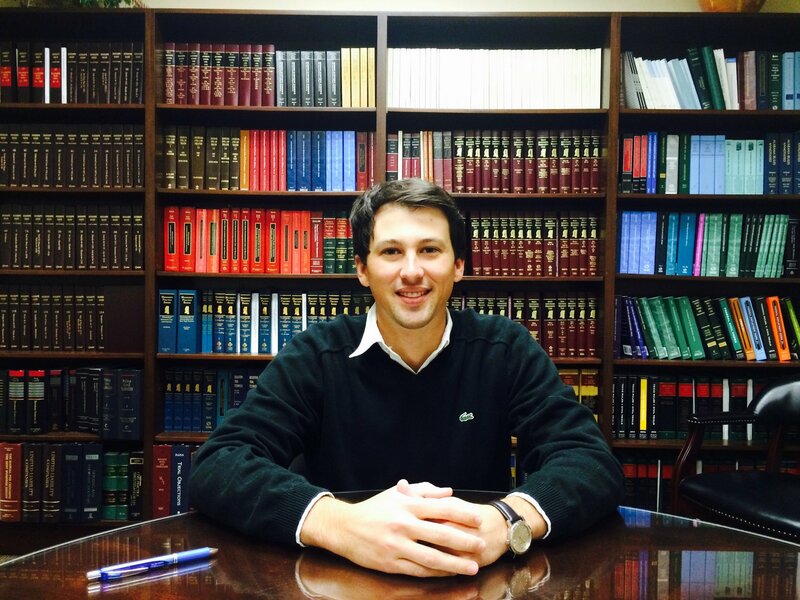 Jake Lambert, of Ocean Springs, is an attorney with the law firm of Dogan & Wilkinson in Pascagoula. Lambert is a graduate of Mississippi State University and got his law degree from Ole Miss in May 2012. Prior to coming to Dogan & Wilkinson, he worked as a law clerk to Presiding Justice Mike Randolph at the Mississippi Supreme Court for almost two years, where he did appellate work. Lambert’s favorite part about working for the Supreme Court was having the opportunity to learn. When he heard there was an opening for an attorney at Dogan & Wilkinson, and knowing of the firm’s outstanding reputation, Lambert sent in his resume. After a phone interview with three of the firm’s attorneys, he was invited to an in-person interview. Accepting the job offer was easy, but it was difficult making the decision to move somewhere neither he nor his wife are from. But after visiting the area a few times, he agrees it was a good decision for them. What is the difference between working for the Mississippi Supreme Court and a private firm? Lambert says it’s the pace. While at MSU, Lambert played college golf. Playing golf prepared him for the real world, teaching him about discipline and time management. Lambert enjoys the law for the same reason he loves golf. The person Lambert respected most was his father who had been an attorney. His father passed away from cancer when Lambert was 21. When he realized golf wasn’t in his future, he decided law school was the route for him. “Even if I didn’t practice law, I knew I would be following in his tracks so something good would come of it,” he said. When he’s not working, Lambert has spent much of his time lately reading and talking about college football.